AIM has joined forces with fellow UN PRI signatories to combat tropical deforestation linked to soy production and cattle farming, as well as palm oil. The two Investor Working Groups engage companies exposed to deforestation risks, primarily through their supply chains. Tropical deforestation in particular is linked to greenhouse gas emissions, displacement of local communities and ecological damage. AIM’s collaboration with the UN PRI reflects its concern over unsustainable land use practices as well as its commitment towards strengthening ESG standards in this sector. 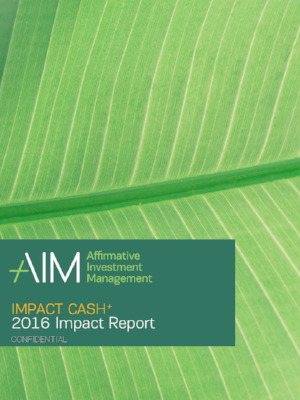 Affirmative Investment Management (AIM), has released the first annual impact report for the LO Funds – Global Climate Bond. The report details over 1000 projects and initiatives that were fully or partially supported by the impact bonds the Fund invests in. The executive summary of the report can be found here. The Fund, launched as a result of a partnership between Lombard Odier Investment Managers and AIM in March 2017, is designed to enable investors to benefit from the transition to a greener economy and aims to deliver measurable environmental and social impact in addition to financial performance. In 2017, 92 countries received impact bond commitments and disbursements from the Fund, which invested in support of all 17 Sustainable Development Goals. Energy: Investing in energy solutions is critical for meeting the Paris Agreement and decarbonising sustainable development. Access to affordable, low carbon and reliable energy is a sustainable development priority reflected by Sustainable Development Goal (SDG) 7. The Fund supported 75 MW of renewable energy installed capacity and over 244,450 MWh of electricity generated annually, enough to power 19,644 homes in the US for 1 year. The Fund seeks a higher yield than the Bloomberg Barclays Global-Aggregate Index with comparable credit quality. MW refers to megawatts, which is equivalent to 1,000 kilowatts. This measures the maximum output of electricity that a generator can produce under ideal conditions at full capacity, representing the renewable energy power potential of a project. MWh refers to megawatt hours. To understand the unit of MWh: a wind turbine with a 1.5 MW capacity, running at an average 30% capacity for 24 hours over 365 days, will generate 1.5 x 0.3 x 24 x 365 = 3,942 MWh of electricity per annum. LONDON, UK – Today, Affirmative Investment Management (AIM) announces the launch of its latest impact fund: the Delaware based AIM US$ Liquid Impact Fund LLC (US$ LIF). The market for fixed income impact investments has been growing rapidly. US$ LIF is managed by AIM’s portfolio management team, led by Justin Eeles, Partner. AIM has a track record of managing impact bond strategies since 2015. The US$ LIF only invests in high grade issuances that have been evaluated and approved by AIM’s in-house Verification team. In addition to sustainability criteria, the evaluation process focuses on the engagement and transparency of reporting by the issuer and the measurable impact of the underlying proceeds. To align with AIM’s mission to help mobilise capital to address the major challenges the world faces, the fund supports those issuers that have demonstrated a commitment to aiding the transition to low carbon growth and supporting the UN Sustainable Development Goals. AIM has been running the Liquid Impact strategy for almost 3 years. Last July, AIM issued the landmark annual impact report for this strategy. This incorporated the Carbon Yield metric which AIM helped develop with key partners: Lions Head Global Partners and South Pole Group (now ISS Ethix), and funded by The Rockefeller Foundation. The Lombard Odier Global Climate Bond Fund, managed by AIM, was awarded ‘Green Bond Fund of the Year’ by Environmental Finance in March 2018. 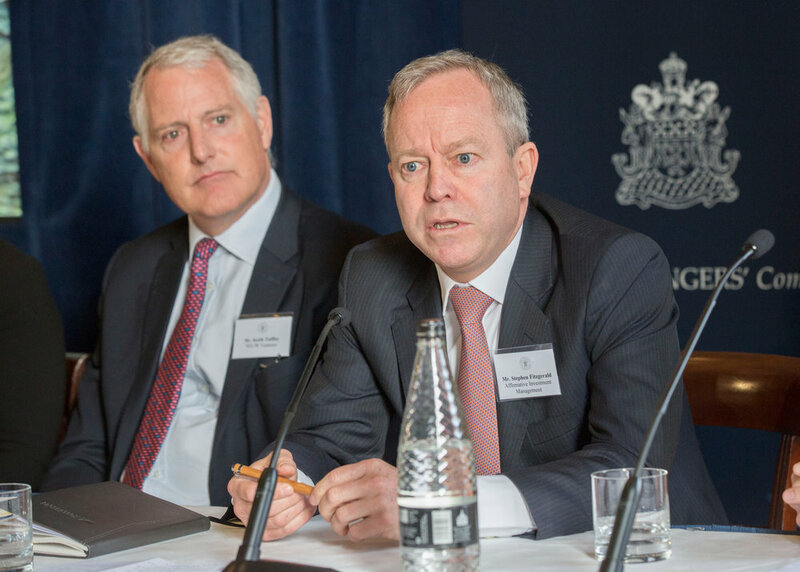 AIM has also recently announced a strategic Alliance Partnership with Colonial First State (CFS) and the launch of the Affirmative Global Bond Fund in Australia on the CFS platform. Affirmative Investment Management Partners Limited (AIM) is the first dedicated impact bond manager focusing solely on bond and cash investments that generate positive environmental and social externalities. 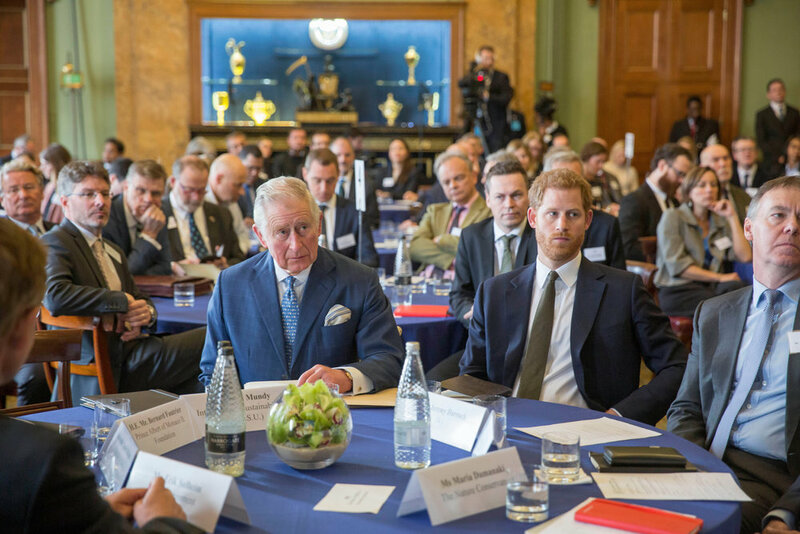 It is an independent partnership established in 2014 with 19 investment professionals and is headquartered in London with representatives in Washington and Sydney. AIM will provide an Annual Impact Report on the US$ LIF’s impact from activities funded, such as water saved, and CO2 emissions avoided. This also allows AIM to ensure the bonds continue to meet the Fund’s sustainability and ESG criteria and align to UN SDGs. On April 19, 2018, the International Development Association (IDA) made its debut in the capital markets, joining a select group of top-tier supranational issuers with its first bond—a US$1.5 billion benchmark on the back of an orderbook totalling US$4.6 billion from investors around the world.